the jar of baby food or yogurt which also become a cup for fruits and vegetables. The glass and the dishes are in melamine. Cutlery (4) are in 18/10 stainless steel and handles in ABS for contact with food. The packaging is a useful accessory to store and to use over time. 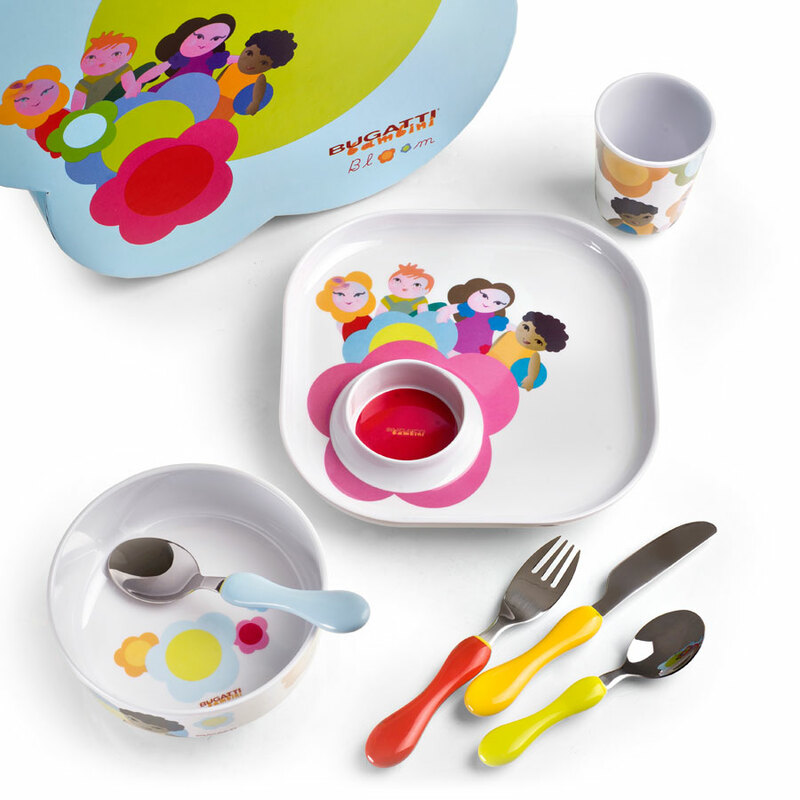 The set also includes a soup bowl, a glass and fun cutlery.